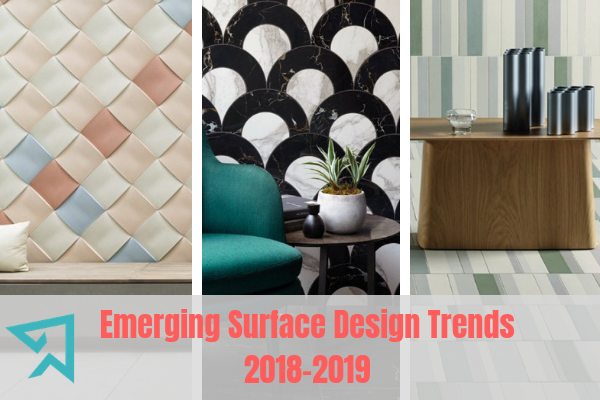 At 100% Design this year, we were lucky enough to hear Jules Archard of Domus presenting the emerging trends in surface design for 2018/2019. 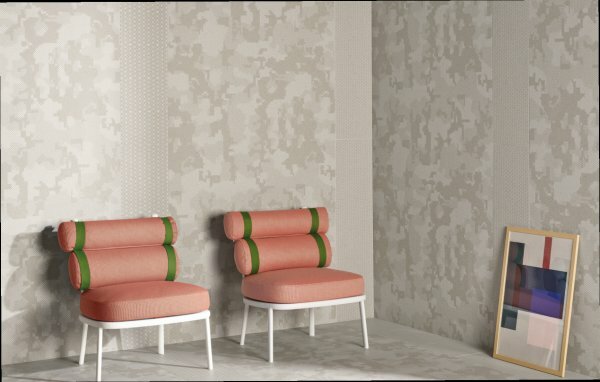 Jules heads up Domus’ three London showrooms. 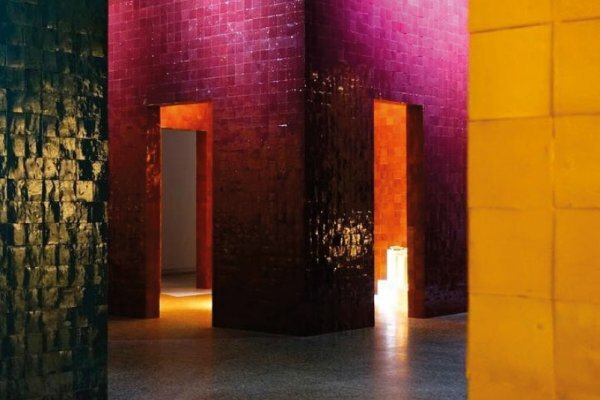 With a background in Art and Design he has a particular interest in materials and surfaces, a specialism of the Domus showrooms, which showcase the very latest in tile trends and product innovations. For maximum impact, colour blocking in interior design is achieved through contrasting colours. 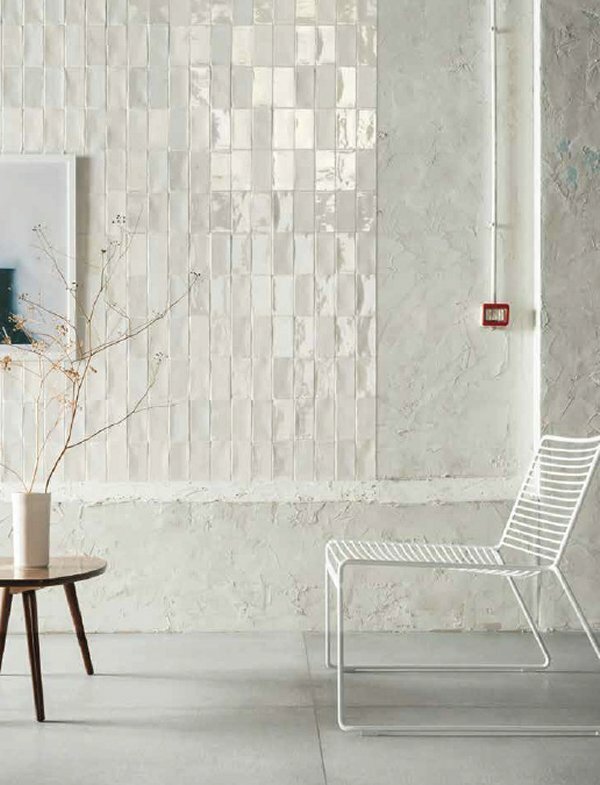 When designing with tiles, this approach can be used to great effect to control the look and feel of architectural features and zones. 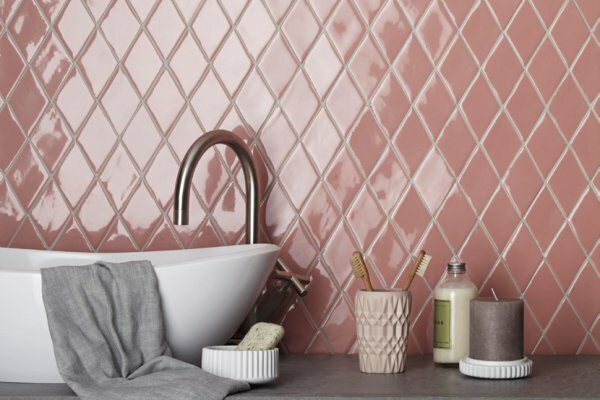 For example, warmer blocks of colour will appear closer whereas cooler blocks of colour will create the appearance of a shape or a space receding. Chromatic Colour is a move on from Colour Blocking and is a colour scheme in which one particular tone or hue dominates. 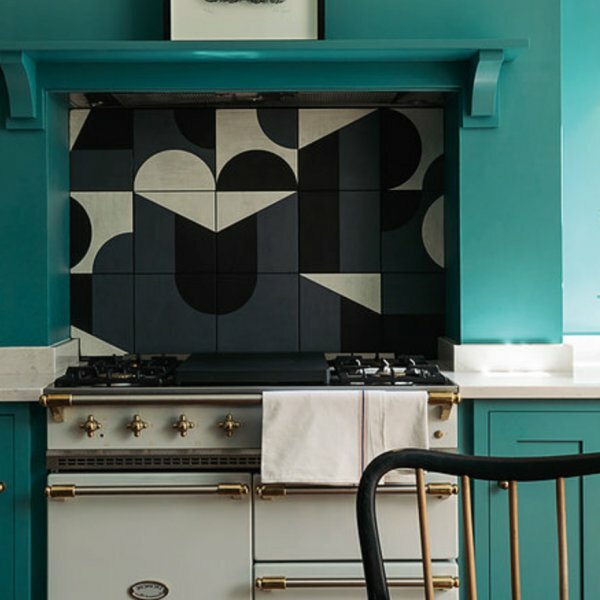 With the bold application of colour on the rise, using a variety of shades within the same colour family offers a calmer way of using strong colours without clashing. 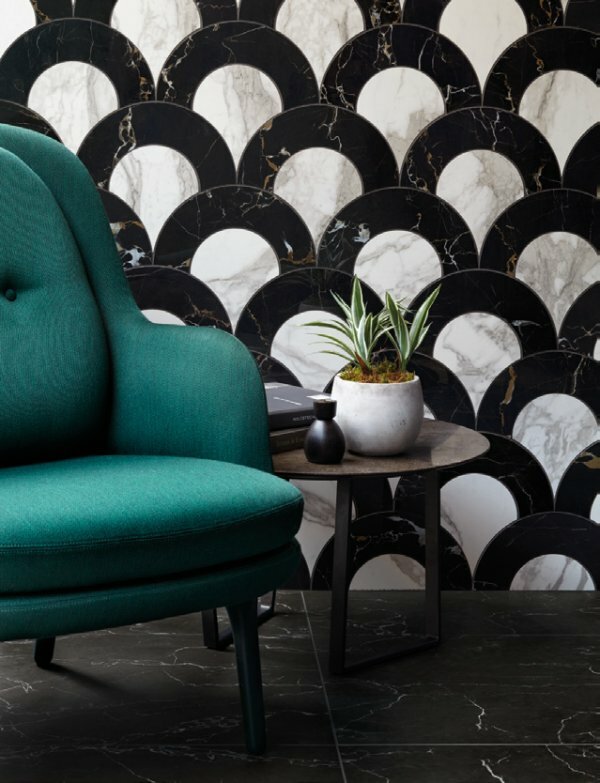 Whereas previously XL porcelain slabs were reserved for replicating raw materials such as stone and marble, there is currently a trend for a more experimental approach to XL porcelain using colour, pattern and design-led markings and patterns. 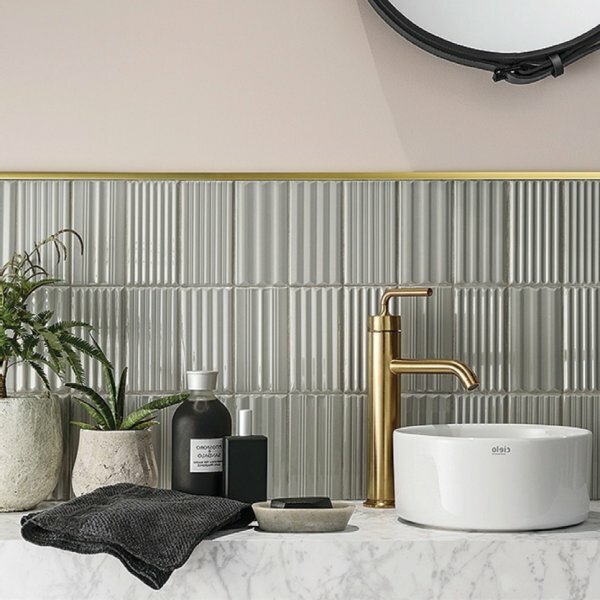 Technological advances enable ever more sophisticated finishes on slim porcelain and simultaneously the market is embracing more experimental, personalised surface finishes. 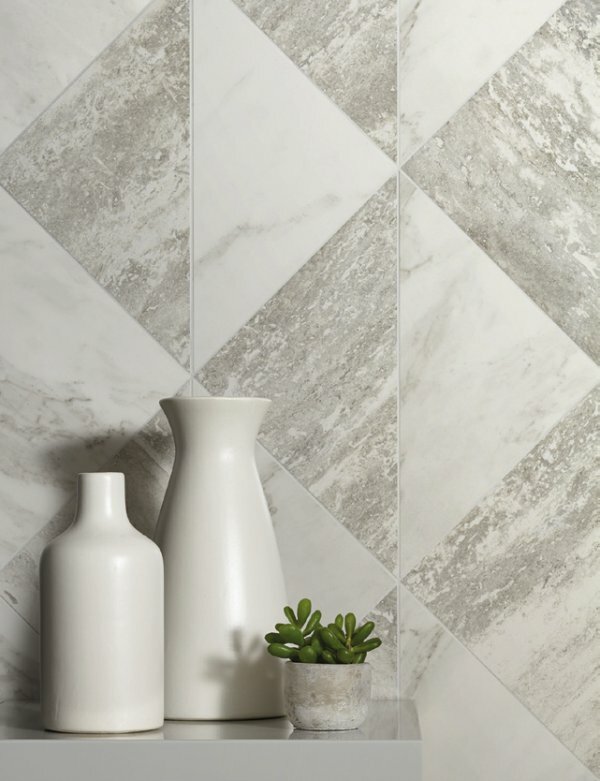 Rounded shapes and curved lines offer a refreshing update from the geometric angular patterns that have dominated over the past few years. 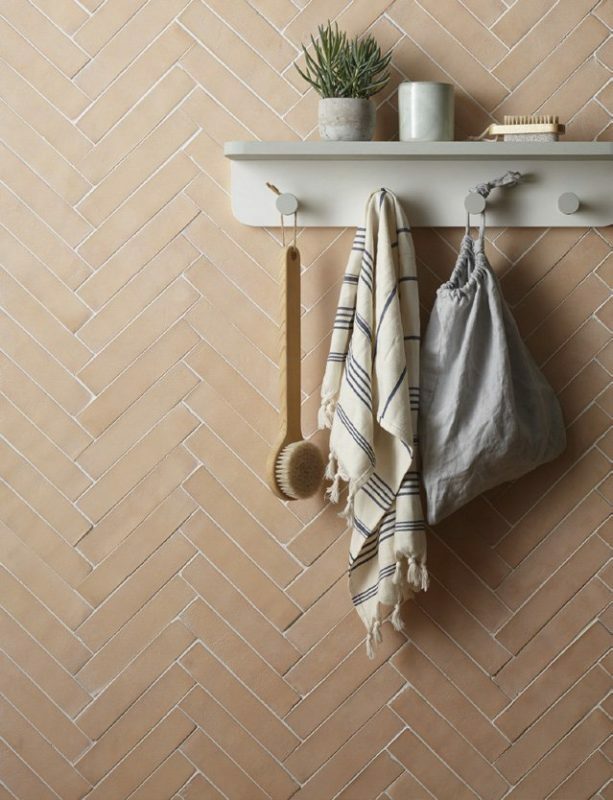 Whether taking the form of surface pattern, shaped tiles, or 3D effects such as fluting, these tiles all create a softer aesthetic. As designers in the age of information we’re savvier and more demanding than ever, and the industry’s response is customisation. 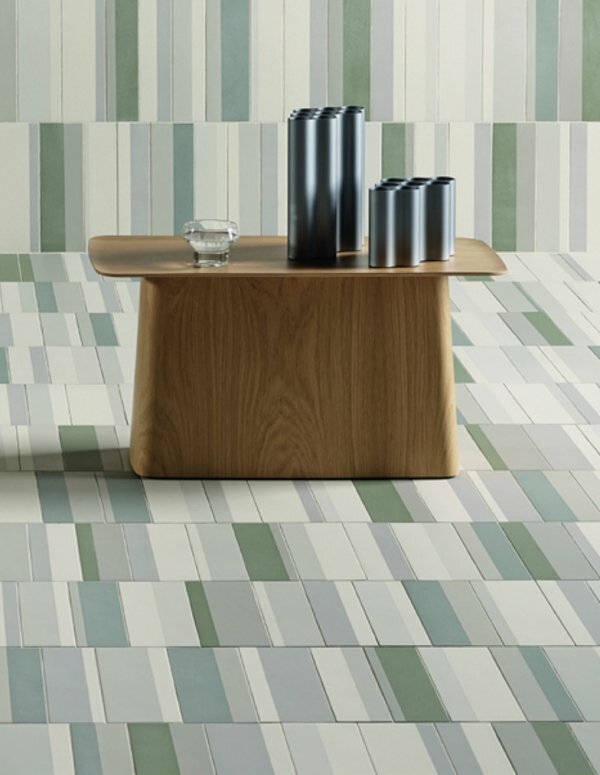 Tiles are inherently customisable because you can combine and arrange them to create different looks, even within individual ranges. 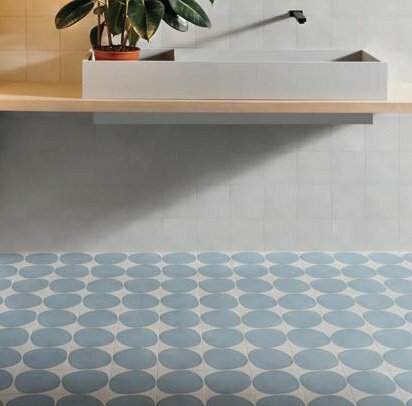 For those who want even more flexibility, ‘Modello’ is a customisable concept range which allows designers to select any porcelain tile from Domus and specify for them to be cut into a series of pre-designed Modello shapes and patterns. 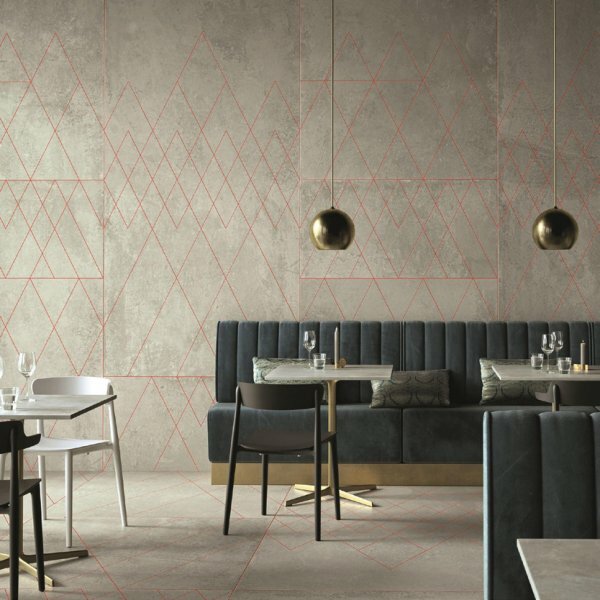 Domus has served the architectural and design community for over 50 years, providing the most innovative and extensive collections of ceramic, porcelain and stone for residential and commercial projects. 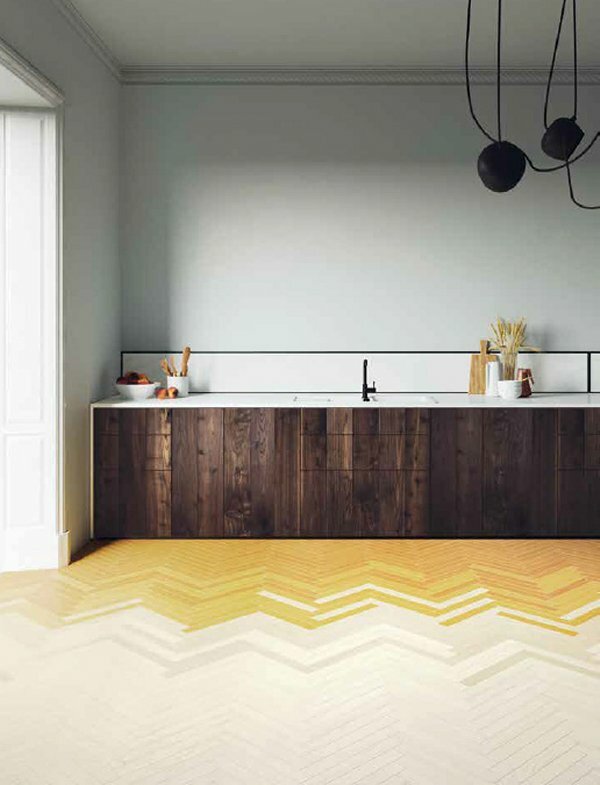 In 2014 Domus launched its Engineered Flooring division to meet the growing demand for wood, laminates and vinyl flooring. 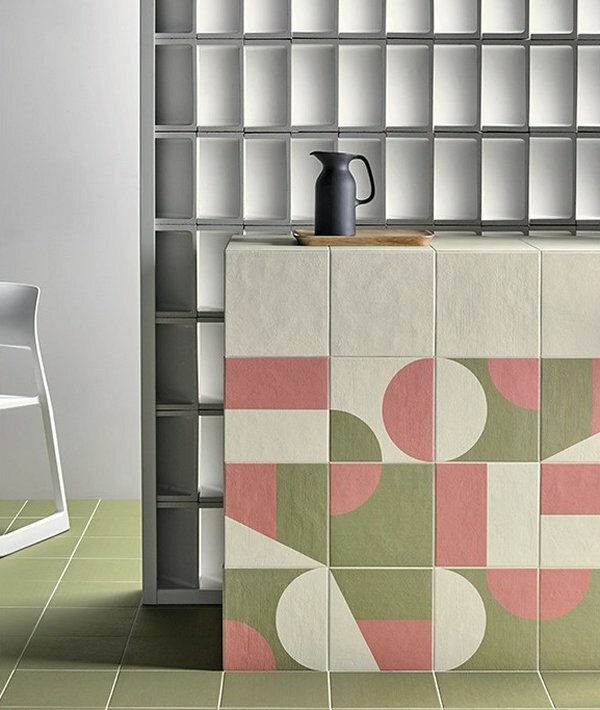 100% Design is the commercial cornerstone event of The London Design Festival. 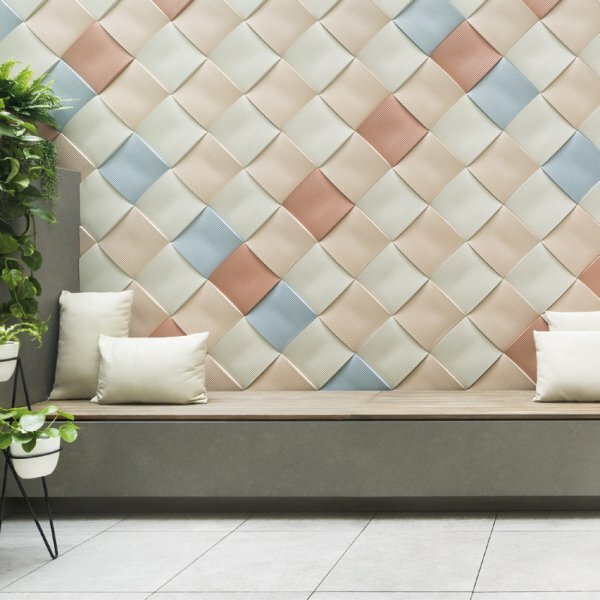 Held at the Olympia exhibition centre between 19th and 22nd September 2018, this trade event is a vast showcase for more than 400 architects, product designers and interiors specialists. 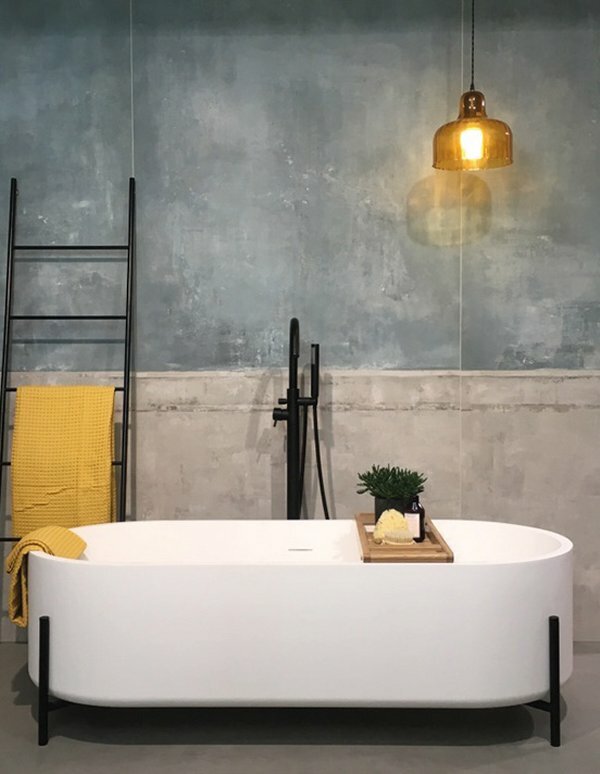 Dividing the exhibition centre into areas for the workplace, interiors, emerging brands and for those working in the construction and architectural industries, the fair hosts product launches for decorative lighting, furniture and fittings as well as providing a platform for newcomers.